Your wood tailor for advertising products. 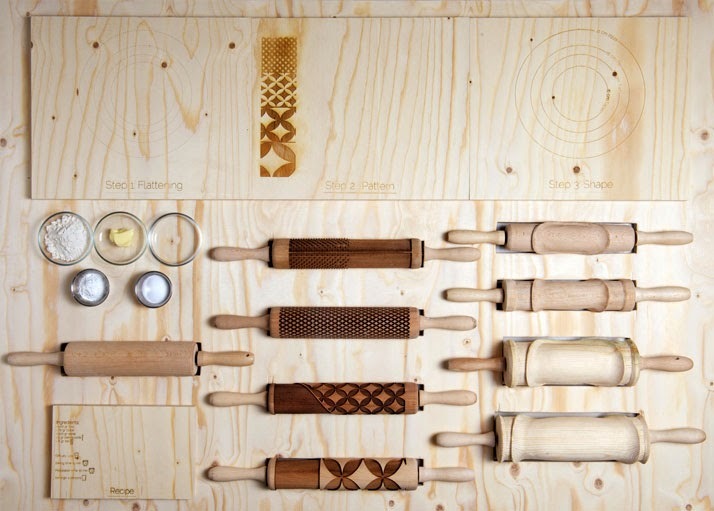 Rollware by Altered Appliances is a project created by Joanne Choueiri, Giulia Cosenza and Povilas Raskevicius. 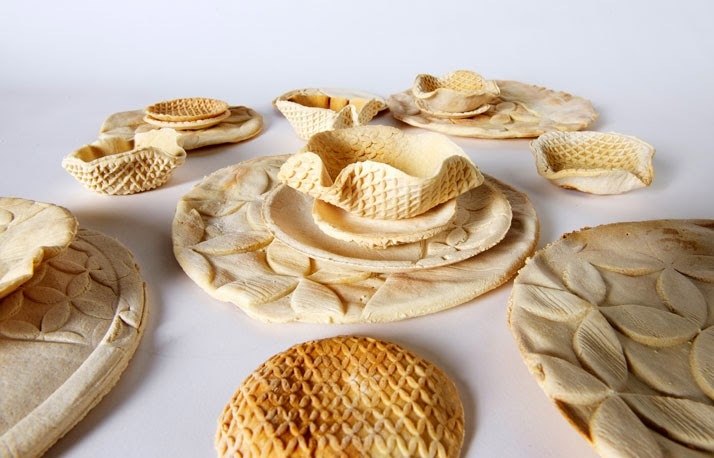 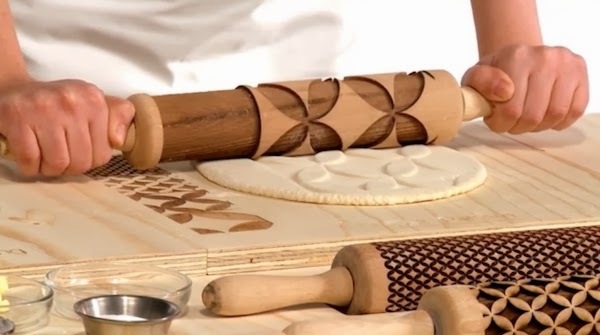 The idea behind the project is to create a set of eatable plates patterned and then cut out with two sets of rolling pins. 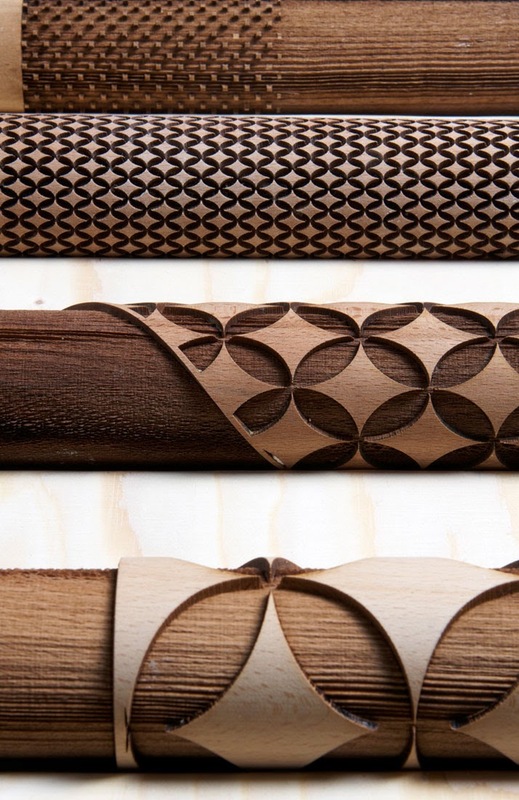 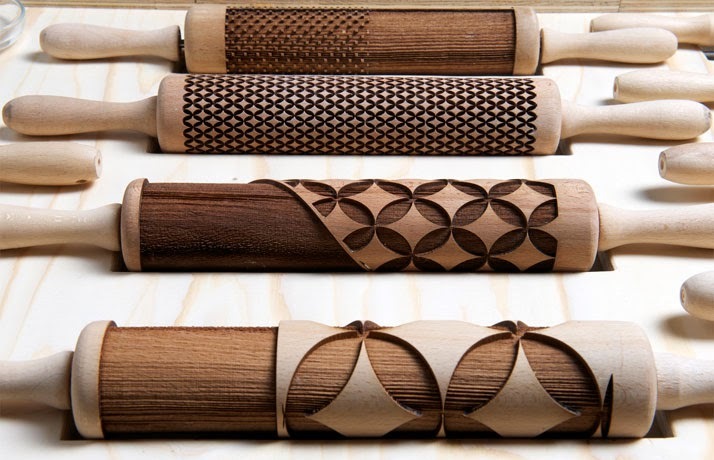 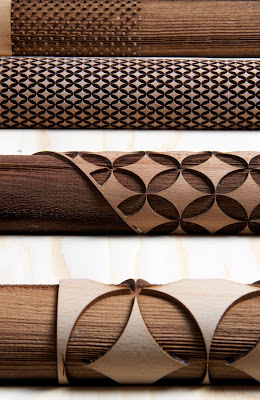 The patterned set of rolling pins were created with a laser cutter, utilizing a rotary attachment. (A rotary attachment is a device that sits in the laser cutter that rotates an object around as the laser cutter etches the surface, it allows for curved and cylindrical objects to be etched in a continuous and consistent manner. This project is particularly interesting with respect to the laser cutter because it shows how one can use the rotary for alternate uses besides just etching glasses and bottles. 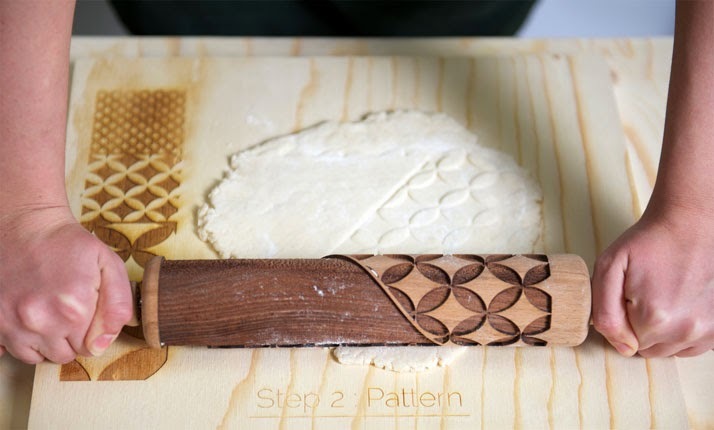 It also shows how you can re-purpose existing things via the use of a laser cutter. 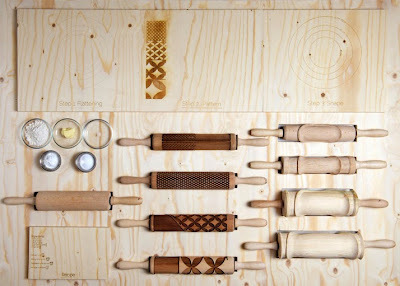 Potentially Woodvertising can take this idea a step further and someone could make a continuous patterned stamp with a rolling pin type object. 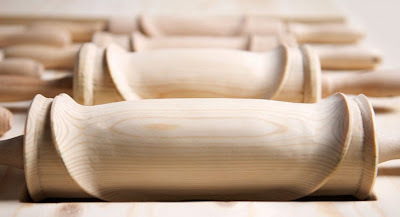 Copyright 2013 - Woodvertising. 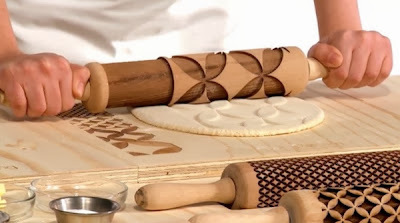 Tema Simplu. Un produs Blogger.